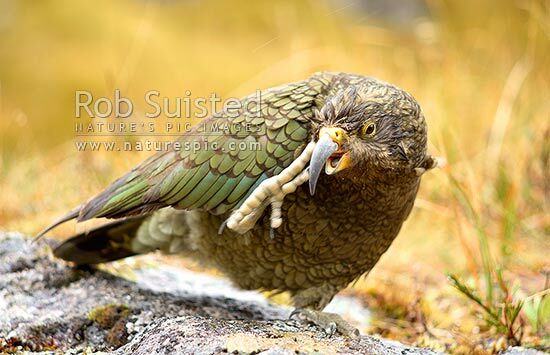 Young Kea bird (Nestor notabilis) scratching face with feet. Alpine parrot. Yellow face markings indicate young age, Fiordland National Park, Southland District, Southland Region, New Zealand (NZ), stock photo.